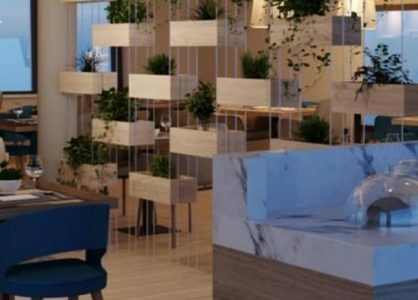 A recent hot topic in the holiday press discussed the relative merits of booking holidays oneself online, using conventional travel agencies or engaging the services of more specialist, often smaller companies. As my wife, Margaret, and I wanted a quite complicated holiday this summer, to combine multiple destinations and modes of travel, we decided to consult the experts – if, that is, we could find someone able to help us achieve our goal. 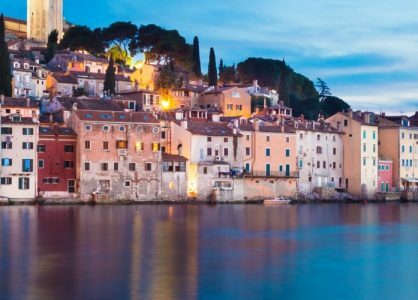 By chance, Margaret discovered a company called Unforgettable Croatia; fortunate, as we wished to spend our holiday’s first week cruising the coast and islands of this beautiful country. 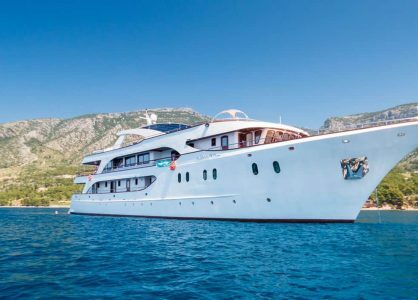 Preferring something smaller than the typical cruise liner, we initially investigated chartering and skippering a yacht ourselves. 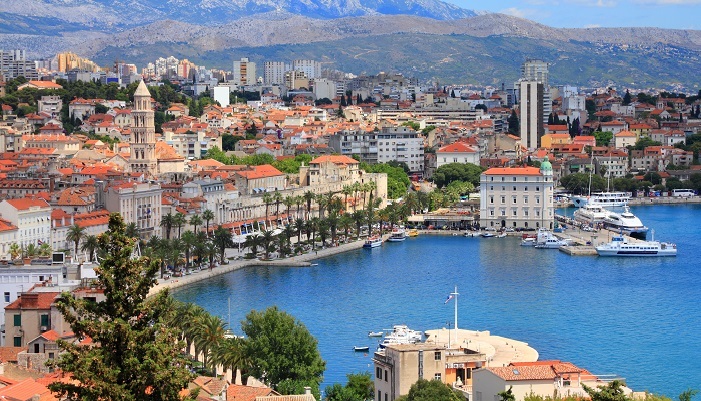 But when Margaret contacted Graham Carter of Unforgettable Croatia, we struck gold: thus our first week would be on a 49-metre ship with just twenty spacious, comfortable en-suite cabins, cruising between Dubrovnik and Split. Two daily sea-swimming stops, breakfast, lunch, overnight stops in different ports and professionally guided tours (in English) were all included. Flying to Dubrovnik to join the ship, we then cruised to places of interest including Mljet and its spectacular National Park; lively Hvar (with superb guided tour); delightful Bol and Pucisca (on the idyllic island of Brac); Makarska, a town backdropped by mountains that rise with reality-defying suddenness; exquisite Korcula town on its namesake island (another excellent guided tour); then back to Dubrovnik for a tour of its historical Old Town. Aboard ship, with 36 passengers catered for by 8 crew, we found the roomy living areas and well thought out decks facilitated both socialising and private time. A truly international group, our fellow passengers hailed from Australia, the Netherlands, Belgium, Tunisia and the UK. We lunched with different people each day, relishing the mix of ages and nationalities; indeed, we’ve kept in touch with four couples we met on board. Margaret had asked Graham to extend our holiday considerably, and he made every further arrangement with the utmost attention to detail. We wanted to visit the south-east, then the north east of Italy, travelling by ferry, train and hire car. On the Sunday, we aimed to take the midday ferry from Dubrovnik harbour for the seven-hour crossing to Bari. Graham had arranged a deluxe cabin which we initially thought unnecessary: we’d anticipated enjoying our Adriatic crossing al fresco… but, in the only poor weather we encountered, heavy rain on Friday and subsequent high winds conspired to severely delay the Jadrolinija ferries. Thus we left Dubrovnik five hours later than planned, entering Bari’s harbour at midnight. Although we’d neared the harbour entrance at 11.30 p.m., the Italian authorities were prohibiting entry until calmer conditions prevailed. That morning, Margaret had informed Graham of the ferry delays and asked him to notify our taxi transfer to the Bari hotel (Graham arranged private transfers throughout our holiday). Increasingly unsure of our arrival time, she again texted Graham on Sunday evening asking him to cancel the transfer; we would find a taxi instead. Absolutely not, said Graham: he would deal with it provided we updated him with developments. Hence, when we eventually exited Bari’s port building at 12.45 a.m., a taxi awaited us. Graham had apprised our hotel too. But it was time to swap our hire car for First Class air-conditioned comfort aboard the 10.55 national train which hugs the Adriatic coast from Lecce all the way northwards to Rimini. Scheduled to arrive at 17.16, we’d need to change platform to catch the 17.33 Ravenna service. Reaching Rimini just minutes late we made our connection, alighting in Ravenna at around 18.30 as planned. The private transfer to our four-night hotel stay afforded (not hugely favourable) first impressions: Ravenna’s architecture didn’t enthral us as Lecce’s had. But we were here to admire interiors: specifically the 5th and 6th century mosaics in Ravenna’s basilicas and public buildings. To our delight, our hotel was situated near the Basilica di S. Apollinare Nuovo, one of Ravenna’s eight UNESCO listed Early Christian monuments. The “top six” of these monuments, headed by the stunning Basilica Di S. Vitale, can be visited with a single ticket costing €9.50; an absolute bargain. Fortuitously, the Saturday of our stay coincided with Apollinaire’s saint’s day, commemorated by a special midday service in the Cathedral. 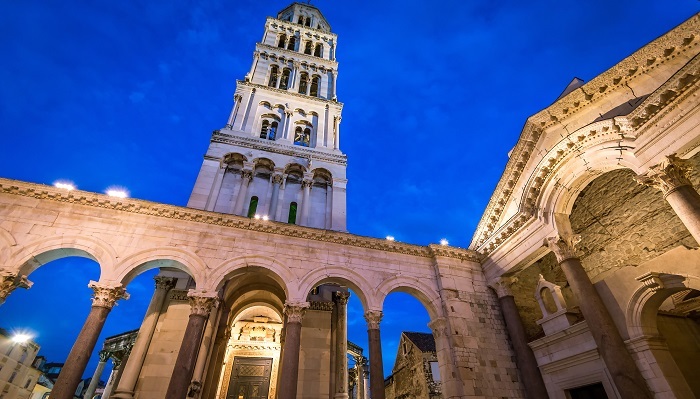 For us, however, the highlight was that evening’s concert: Vivaldi’s The Four Seasons, performed with virtuosity in “our” local Basilica amidst the remarkable 5th and 6th century mosaics we had visited that morning. After a day admiring Ravenna’s mosaics, we collected a hire car and spent one day in Bologna (it deserved more, but we can return), and another discovering Ferrara, Comacchio (not quite the “Little Venice” it claims, but charming, nonetheless) and Pomposa Abbey. Were we sun worshippers we might also have visited one of the region’s many Lidos. Seventeen wonderful days after arriving in Dubrovnik, we returned our car at Bologna airport and flew home. Was our holiday successful? Totally. Thanks to Graham we achieved everything we desired: 100%. Cost? 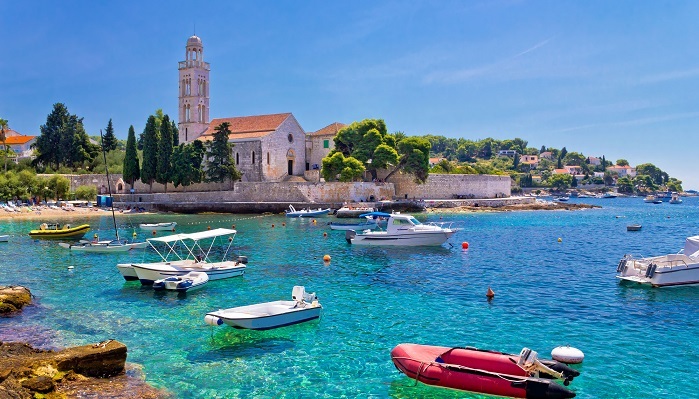 Well, the UK’s major yacht charter company quoted Margaret some £4,000 to charter a 40-foot yacht for seven days in Croatia for early July, excluding flights, meals, moorings, insurance etc. We paid Unforgettable Croatia around £5,500 for 17 days, including return flights; all hotels (minimum four star, breakfast included); the seven-day Croatian cruise in a deluxe cabin and with an English speaking tour manager, welcome dinner, daily breakfast, lunch including wines, freely available fresh fruit; all private transfers; First Class rail travel; all car hire … and the reassuring ability to contact Graham at any time, day or night. Our documentation – two A5 packs, containing the vouchers for transfers, car hire and hotels (plus hotel photos and contact details), flight documentation, detailed itineraries and all other necessary information – arrived in good time, and was completely error-free and accurate: perfect. The delayed ferry to Bari confirmed Graham’s commitment to provide 24-hour-a-day availability and help. And though our cabin on the Croatian cruise ship was supremely clean and comfortable, we did experience an issue with the air conditioning during the exceptionally hot week before the brief rainy spell. Graham responded by treating us to dinner in Dubrovnik’s Old Town that Saturday evening. He texted us the restaurant’s details, we were treated like royalty on arrival, and the meal was excellent. Would we use Unforgettable Croatia again? Of course! Personal touches impressed us, such as the pre-departure phone call, wishing us a happy holiday and reminding us to take our passports! And the small parcel from Unforgettable Croatia, discovered upon our return, which contained a ‘Thank you for booking with us’ card and a gift to help us overcome any post-holiday blues! 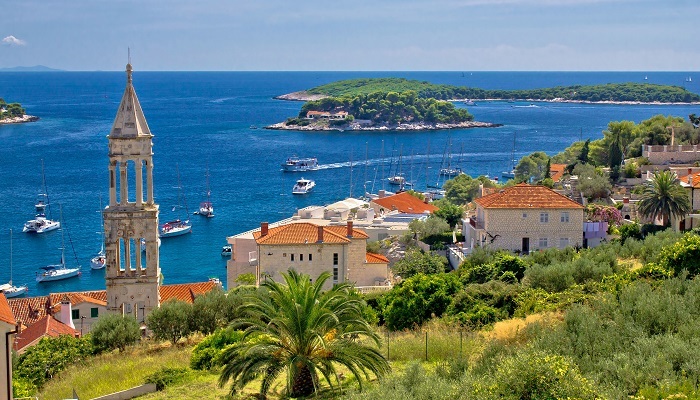 Unforgettable Croatia is ATOL protected and is a member of the Travel Trust Association. Graham: are you ready to organise our next holiday? Thank you!